Some people think bats and think vampire! Eeeek! I think bats and I think, "What amazing creatures!" 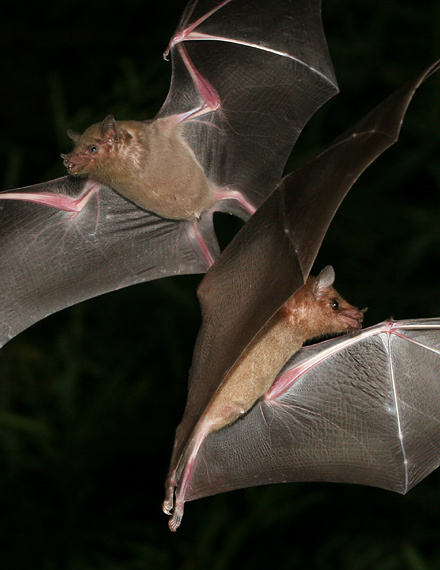 Bats eat insects and nectar... at least the ones I've ever seen in zoos and here in Southern Arizona. Did you know they migrate? They return to Mexico in the fall. When fall (*) comes around we have to fill our hummingbird feeder daily as the bats drain it every night. So, when does fall start? Well... the bats are here now so... I'm thinking it's here. Wow! How interesting. 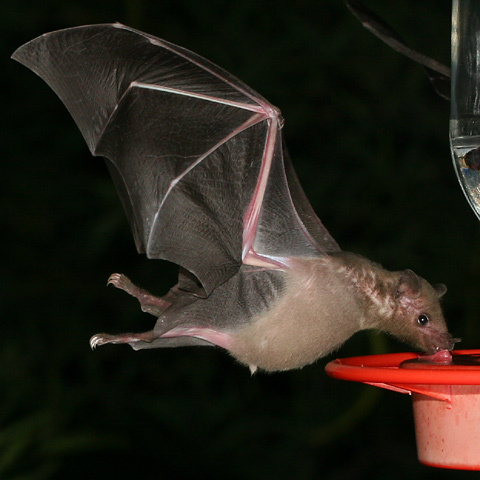 I had no idea bats would eat out of hummingbird feeders!